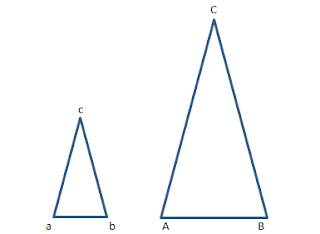 In other words, if the triangle abc is magnified according to the scale, it will become triangle ABC. 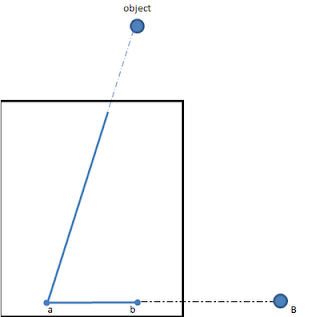 This principle is used to calculate a distance in this triangle method. 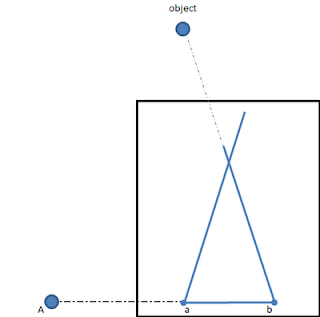 See the picture below, by drawing a similar but smaller triangle to triangle AB-object on paper, and the distance from A to B is known, then the distance from A to object and B to object can be calculated based on drawing scale. Determine position A and position B with known distance between them, you can use distance measuring tool, vehicle tripmeter, distance markers on the street, etc.. Prepare a level plane (eg, table, board, etc.) as a base for drawing a triangle on paper. I recommend to use a cylindrical pencil, so that could be used to test table level. Table is level if the pencil does not roll in the direction of table length, also pencil does not roll in the direction of table width. Can also use marbles to ensure table level, marbles should not roll in any direction if placed on the table. 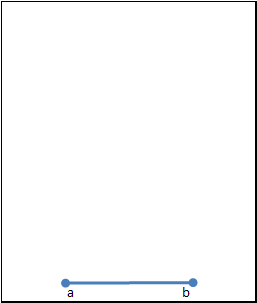 Draw line a-b on paper, position the line so that there is a large empty area on the paper to draw the object point. In the picture below we can see line a-b is depicted at the bottom of the paper so there is space to draw object point. Place the paper on a table at position A. Arrange the paper so that the line a-b is in line with an imaginary line from point A to point B. 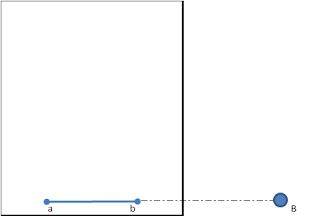 It can be done by putting a ruler along the a-b line and a ruler is aimed to point B. Make sure the paper does not move. Now move your position to place B. Put the paper on a flat table at the B. Position the paper so that the a-b line is in line with an imaginary line from point B to point A, make sure the paper does not move. 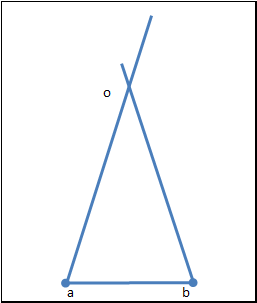 Now it looks on paper there is a triangle formation that can be named as the triangle abo. Sides length of this triangle can be measured by ruler. 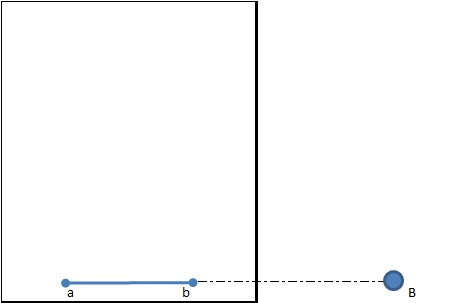 Because the distance between point A to point B is known, then the ratio of the length of a-b line with distance from point A to point B is the scale of this drawing. 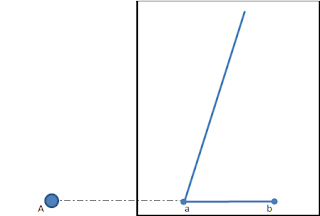 Suppose the distance from point A to point B is known 50 meters, and the length of a-b line in the triangle is 5 cm, then the drawing scale is 5 divided by 5000 or equal to 1: 1000. This triangle method can also be used to create map with scale and measurement are quite accurate. 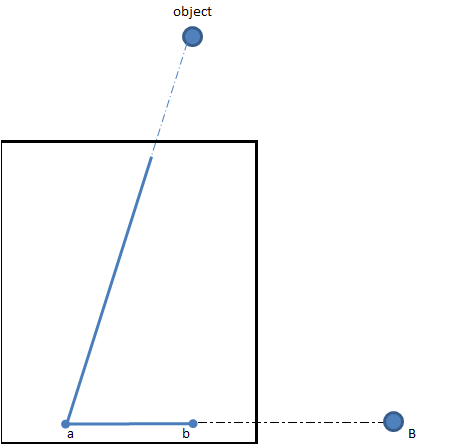 Without having to measure distance of each object position directly.